Summer is quickly approaching and I could not be more excited for the sunny days..
– Blue is my favourite colour and I do not have anything similar so this is perfect for me. – This looks like a fantastic product to help “eliminate red bumps on the arms & legs,” but this is not for me. Not a product I necessarily need! – The foundation is supposed to be a BB cream & foundation in one that provides light to medium coverage. I am interested in trying this, but not sure if any of the sample colours will work for my skin tone just by looking at it. The shades are: Tickle the Ivory, Fair Game, Dim the Light and Silky Negli-Beige. Also included was an offer to receive a complimentary Deborah Lippmann Smooth Operator Nail File. 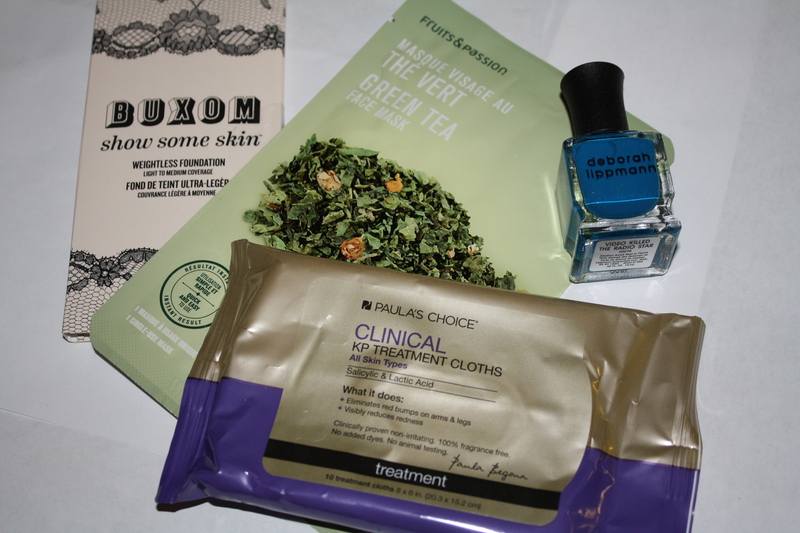 Overall, this was not a bad box this month, but will definitely not use the clinical cloths. Definitely in love with the nail polish though! What did you receive in your June Topbox? What are your thoughts?